Tessie Tomas gives us a glimpse of her growing strong with age. 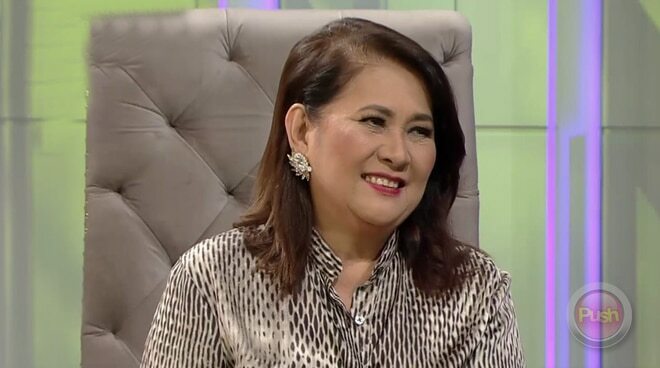 In her first Tonight with Boy Abunda appearance, the first “Queen of Daytime Talk” Tessie Tomas reminded us how she conquered media of the previous decades with her wit, charm, and unparalleled professionalism. As the host requested, she briefly and willingly reprised the roles that made her a Filipino icon, drawing laughter from the host and audience alike. She also shared how her mother’s declining health came as a blessing in disguise, for it drew them closer. Finally, she gave as us a glimpse of her blissful marriage with her British spouse, sharing a letter for her that concluded with “I’m sure our love will never end. Tessie can be seen currently as one of the leading characters in the series The Blood Sisters.